Abstraction x 5 is a forthcoming group exhibition that opens at the Light Gallery in Adelaide, Sunday 2nd October. The exhibition builds on my 2015 Australian Abstraction exhibition at the Light Gallery in Adelaide. Abstraction x 5 features work by Adam Dutkiewicz, Beverley Southcott, Graeme Hastwell, Stuart Murdoch and myself. Adam Dutkiewicz and myself will be launching our book on abstract photography, which is published by Moon Arrow Press, at the opening of Abstraction x 5. 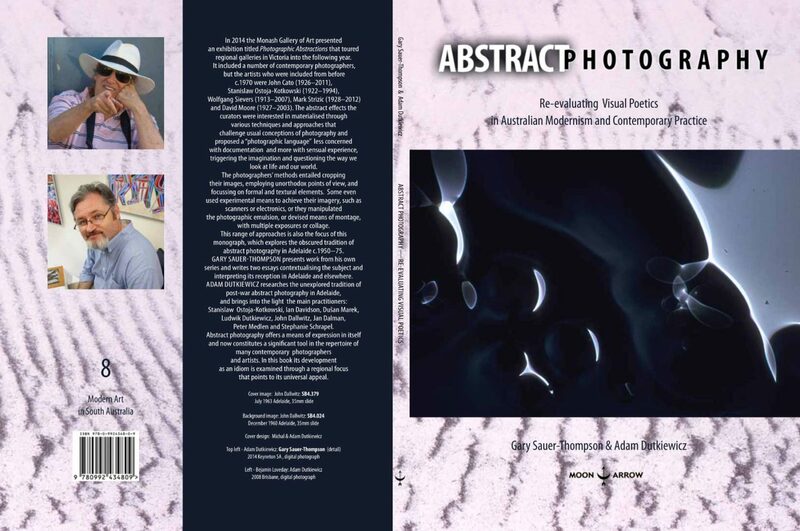 The book recovers the abstractions produced by Adelaide based photographers in the 1950s -1970s and it establishes a tradition by linking this to some of the work in my Australian Abstractions exhibition in 2015. Adam and myself plan to make this the first in a series of photography books. The next book planned features some of the underground photographers in Adelaide from the 1970s to 2000. 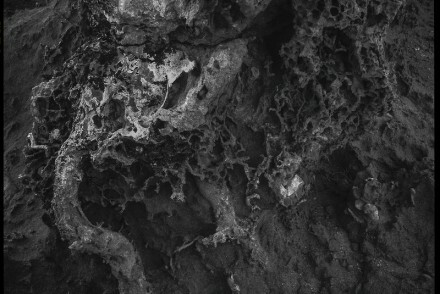 Underground in the sense that the photographers produced a body of work that was largely ignored by the established galleries. The starting point for the book is the Words and Visions arts magazine that was published in the 1980s (1980-1985) in Adelaide, and which was edited by Adam and Michael Dutkiewicz (Graeme Hastwell was the photographic editor). This featured original poetry, visual arts, fiction and music. Another source is The Developed Image Gallery, Adelaide’s first photographic gallery, which operated during the mid to the late 1980s. During the 1980s I was living in, working on, the Bowden as well as the Port Adelaide projects. The new century is a good cutting off point for this book because that is when the complex technology of digital photography came to the fore with its network connection to the Internet, the advent of Web 2.0, and the focus on user generated content. This was around 2004. The dramatic change was not the shift from analogue to digital photography, it was the use of photography. This showing presence (or what’s going on), is distinct from the storing of ‘precious’ private memories (eg., Kodak’s happy moments) is part of networked digital technology as well as being a print, an image or a social practice. The networked digital technology is premised on a database–collections of individual items( e.g., Flickr) where every item has the same significance as any other, rather than being structured by a traditional, progressive narrative or story. In the database the media objects do not tell stories; they don’t have beginning or end; in fact, they don’t have any development. © Gary Sauer-Thompson. All Rights Reserved.